With some of the world’s best wines, quality restaurants, exciting events and stunning World Heritage wilderness, the Hunter Valley region north of Sydney is the perfect escape. 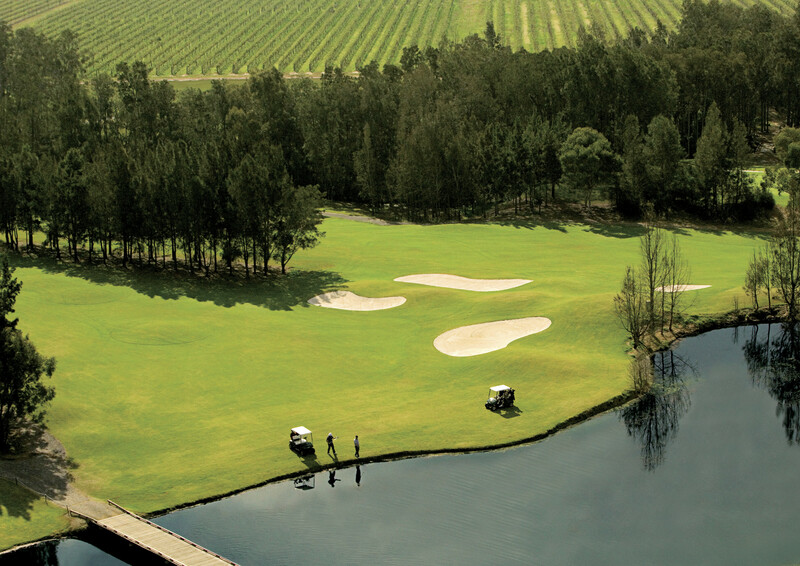 Set amongst a spectacular backdrop of vineyards and rugged mountain ranges, the Hunter Valley Golf Clubs are almost as wonderful as their wines. All you need is a short break to discover wonderful experiences and enjoy a taste of the Hunter. To request a quote for your own bespoke and unique tour to the Hunter Valley, please complete the form below. We will be back in contact as soon as we receive your submission. Start packing your bags! Barrington Tops A wilderness region with camp sites, rustic cottages and mountain townships surrounded by world heritage rainforest. Hunter Valley World-class wines are complemented by superb cuisine and boutique accommodation in Australia’s oldest wine region. Upper Hunter Fine wines, elegant restaurants and farmers’ markets showcase local produce. The rural charm and scenic drives are enticing.